Heart disease remains the number one killer in North America. According to the Centers for Disease Control and Prevention (CDC), about 610,000 people die of the disease in the United States every year — one in every four deaths. It’s the leading cause of death in both men and women. Every seven minutes in Canada, someone else dies from heart disease or stroke. We don’t have to be resigned to our fate. Studies show that by reducing dietary and lifestyle risk factors, we can prevent most cases of cardiovascular disease. In 2009, researchers reported that four healthy lifestyle factors, including never smoking and maintaining a healthy weight, together were associated with as much as an 80 percent less risk of developing the most common and deadly chronic diseases, like heart disease and cancer. 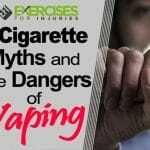 In 2015, researchers found that all around the world, those who avoided cigarette smoking, were physically active, and ate a Mediterranean diet (with lots of fruits and vegetable, whole grains, fish and olive oil), had a lower risk of heart disease and cancer and were less likely to die of any cause than those who didn’t have these habits. Even if you’re predisposed to heart disease — let’s say your mom or dad had it — you can still reduce your risk with the right lifestyle habits. According to a 2016 review of four studies involving more than 55,000 people who were genetically at risk for heart disease, healthy lifestyle habits helped lower risk by nearly 50 percent. You’ve probably heard that it’s good to eat healthy and stay active but, sometimes, it’s easier to look at things from the opposite side. What are the absolute worst things you could do when it comes to heart health? In other words, what should you avoid at all costs to protect yourself? 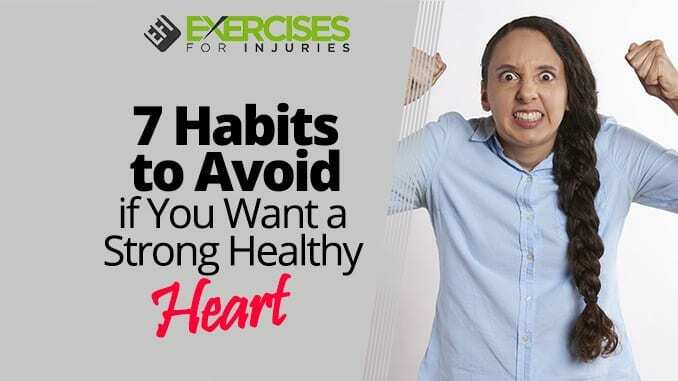 We’ve got the top seven habits to avoid to increase your chances of having a strong, healthy heart for years to come. It’s best if you’ve never smoked, but if you do smoke, or if someone in your family smokes, urge them to quit. It’s not an easy thing to do, but it’s worth it for your heart health. The American Heart Association (AHA) states that cigarette smoking is the most important preventable cause of premature death and that it accounts for more than 440,000 deaths each year. Smoking negatively affects the heart in a number of ways. First, it increases blood pressure, which makes the heart work harder to pump blood through the arteries and other blood vessels. It increases the tendency for blood to clot and increases the risk that the blood vessels will become clogged and narrow. If you have other risk factors, such as diabetes, it acts together with these risk factors to create more danger. Quitting smoking, however, has almost immediate benefits. The AHA states that soon after stopping, scientists have seen progressively lower mortality rates from heart disease and stroke — even in people who have smoked for many years. People diagnosed with coronary heart disease who stop smoking experienced almost a 50 percent reduction in the risk of heart attack and sudden cardiac death. This makes it clear that stopping is worth the effort. Talk to your doctor about programs and methods that may help. The whole issue of alcohol can be confusing because some studies have shown that moderate intake, especially of red wine, may actually help protect heart health. A recent study, for example, showed that a daily glass of wine could cut the chances of having a heart attack by a third. The key is that studies showing a benefit from wine or other alcoholic beverages are talking about moderate consumption. This is defined by the National Institute on Alcohol Abuse and Alcoholism (NIAAA) as one drink per day for women and up to two drinks per day for men — alcohol is metabolized differently in men and women. That means that drinking more than this recommended amount can be identified as “excessive consumption,” which can cause health problems, including heart disease. Drinking too much raises the levels of some fats in the blood, which increases the risk of artery narrowing, and also leads to high blood pressure and heart failure as well as uneven heartbeats. In that study mentioned above, for example, though moderate drinkers experienced heart-protective benefits, heavy drinkers were more likely to be diagnosed with heart failure, cardiac arrest, peripheral artery disease and stroke. In a 2017 study, researchers found that alcohol abuse increased the risk of atrial fibrillation (uneven heartbeat), heart attack and congestive heart failure. Unfortunately, excess weight causes all kinds of problems for the heart and blood vessels. The famous “Framingham study” revealed that weight change affects blood cholesterol and blood pressure and that these risk factors then work together to increase the risk of cardiovascular disease. 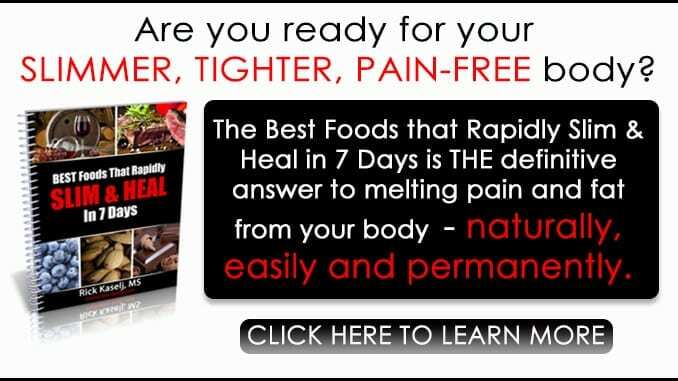 These changes increase the workload on the heart and, because excess weight is often associated with less activity, the heart gets more and more out of shape and unable to deal with the increased workload. Researchers noted that during exertion, an obese individual may require twice the oxygen consumed by a normal weight individual under the same circumstances, which is a high demand on the heart. Even if you consider yourself a “fit” person, if you’re carrying around extra weight, you’re increasing the risk for heart disease. According to a 2017 study, extra weight could raise the risk of heart attack by more than a quarter, even in people who were otherwise healthy. Researchers believe that the excess weight because it causes increased blood pressure and increased blood sugar, affects heart health. Even moderate weight loss can help, however. In a 2011 study, those who lost even a little weight — about 10 percent of their body weight — experienced improvements in the heart’s pumping ability, it’s ability to relax and the thickness of the heart muscle tissue as well as the thickness of the artery walls. Even when the participants gained some — though not all — of the weight back, they still retained these benefits to heart and blood vessel health. Other studies have found similar results, showing that even modest weight loss helped improve blood pressure, blood cholesterol and triglycerides. Regular exercise is good for the heart as it keeps it in shape so that it can better pump blood out to the rest of the body. 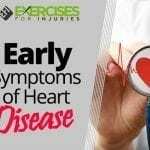 If you don’t get enough exercise, though, the heart becomes lazy and weak, and you become more at risk for a heart attack. Sitting, in particular, has been found to be deadly. In a 2015 review of 47 studies, researchers reported that prolonged time sitting was associated with increased risk of dying from cardiovascular disease as well as cancer. Scientists think that all that sitting leads to high blood sugar and increased the risk of weight gain, both of which increase the risk of heart disease. Other studies have indicated that an overall sedentary lifestyle is bad for the heart. In one study, researchers looked at time spent riding in a car and watching TV and found that those who reported more than 10 hours a week riding in a car or 23 hours a week of the two activities combined had an 82 percent and 64 percent greater risk of dying from cardiovascular disease than those who reported less than 4 hours a week or 11 hours per week, respectively. High levels of physical activity, on the other hand, are associated with lower risks of heart disease and death from heart disease. Just 30 minutes of exercise five days a week was linked to a lower risk of cardiovascular disease and death in a recent study. In fact, researchers found that one in 20 cases of heart disease could be prevented if everyone followed these exercise recommendations. One key finding — researchers found that the best way to get the exercise you need is to work it into your daily life. Rather than work out for 30 minutes and sit the rest of the day, those who walked or biked to work, who got up and walked around more often and who found ways to be more active throughout the day, experienced the best health benefits. You know that it’s important to eat a healthy diet but, sometimes, it can get complicated. Here’s a way to make it simple: the worst thing you can do is to eat few to no fruits and vegetables. The healthiest diet is a plant-based diet, which means consuming more fruits, vegetables, nuts and whole grains. Current federal guidelines recommend that half of each meal should be made up of fruits and vegetables. That’s because these plant-based foods have been shown to help lower blood pressure and reduce the risk of heart disease and stroke. They’re rich in antioxidants, which can help protect the heart and blood vessels from oxidative damage. They have a positive effect on blood sugar and give the body the nutrients it needs to fight off disease. Several studies have shown that a diet high in fruits and vegetables lowers the risk of cardiovascular disease and stroke. The higher the average daily intake, the lower the risk of developing the disease. 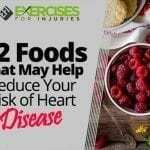 In one study, for example, compared with those who consumed less than 1.5 servings a day, those who averaged eight or more were 30 percent less likely to have a heart attack or stroke. In another study, researchers found that those who ate more than five servings of fruits and vegetables a day had a roughly 20 percent lower risk of coronary heart disease and stroke, compared with those who ate less than three servings a day. So, don’t make this mistake — find more ways to add fruits and veggies to every meal. Stress is a natural response to the dangers we perceived in the world, but chronic stress can damage your heart health. The emotion triggers the release of adrenaline, which increases heart rate and blood pressure. Suffer from this emotion for too long, and you could damage the blood vessels in the heart, increasing your risk of heart disease. The AHA states that stress can affect other risk factors too. It may cause you to smoke more or drink too much or eat more — all behaviors that can increase your risk of heart disease. Stress can sap your energy and makes it more difficult for you to get a good night’s sleep (read more on that below). Some studies have found more specific connections. In early 2017, researchers found that stress was associated with higher activity in the amygdala — the part of the brain involved in processing emotions — and that this was associated with a greater risk of heart disease and stroke. 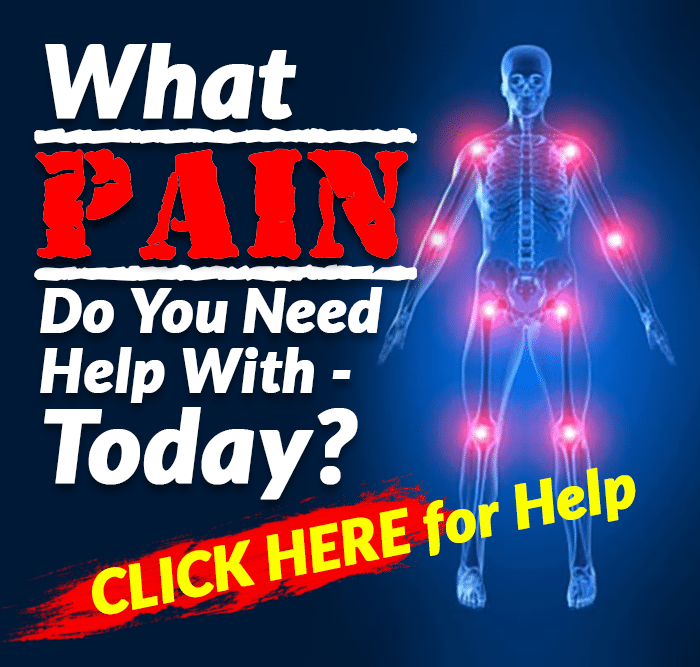 This higher activity was also linked with increased inflammation in the arteries. Meanwhile, other studies have shown that those exposed to chronic stress — particularly stress at work, within a marriage or caused by caregiving — are more at risk for heart disease. We can reduce that risk by finding ways to manage stress better. The CDC stated in 2015 that insufficient sleep was a public health problem. Thousands of people aren’t getting the recommended 7-8 hours a night, and that puts them at risk for heart disease, regardless of their weight, smoking, or exercise habits. One study, for example, found that those who slept fewer than six hours per night were about twice as likely to have a stroke or heart attack as those who slept six to eight hours a night. Researchers aren’t sure how sleep affects the heart, but they do know that it disrupts blood sugar and blood pressure, increases inflammation and affects hunger and satiety. In 2016, scientists found that short-term sleep deprivation led to an increase in blood pressure and heart rate and also encouraged increased levels of cortisol, which is the stress hormone. All of these effects created a toll on the heart. People who are sleep deprived also have slower metabolic rates, which means they will have difficulty burning calories and more trouble losing weight. Other studies have found that shortened sleep increased calcium deposits in the arteries — a sign of plaque buildup and artery narrowing. If you’re not getting enough sleep, talk to your doctor. Good quality sleep helps give your heart a break and makes it easier on it the next day too.